HIM. . . . Viewers who have enjoyed British actor John Thaw as Morse in the PBS Mystery! Anthology series should welcome the deeper character development in Dexter's novels." Beautiful Sylvia Kaye and another young woman had been seen hitching a ride not long before Sylvia's bludgeoned body is found outside a pub in Woodstock, near Oxford. Morse is sure the other hitchhiker can tell him much of what he needs to know. But his confidence is shaken by the cool inscrutability of the girl he's certain was Sylvia's companion on that ill-fated September evening. Shrewd as Morse is, he's also distracted by the complex scenarios that the murder set in motion among Sylvia's girlfriends and their Oxford playmates. To grasp the painful truth, and act upon it, requires from Morse the last atom of his professional discipline. "Few novelists write books as intelligent and deliciously frightening as those by Colin Dexter. . . . What Mr. Dexter does so well, so brilliantly, is weave a thick, cerebral story chock-full of literary references and clever red herrings." "A MASTERFUL CRIME WRITER WHOM FEW OTHERS MATCH." 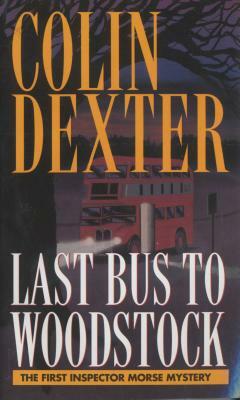 Colin Dexter twice won the Gold Dagger Award, the Crime Writers' Association's honor for the best novel of the year. He was the author of many novels, novellas, and short stories featuring Inspector Morse. He died in 2017.